Tampa Hurricane Damage Insurance Claim Lawyer | Williams Law, P.A. They are unpredictable and can be devastating. If your home has suffered hurricane damage, it is crucial you seek out an insurance claims lawyer who is familiar with the claims process and will aggressively pursue your claim. Attorney K.C. Williams founded the Williams Law, P.A. in Tampa, Florida, more than 20 years ago with the goal of helping people whose homes have suffered damage from all types of events, including hurricanes. He is familiar with insurance laws and the claims process, and he uses this experience to help his clients recover maximum compensation for damage they have sustained. If you have questions concerning damages caused by a hurricane, call (800) 451-6786 today to schedule a free consultation. Hurricanes are classified by category. Some are minimally damaging at a category 1 level, while others, like a category 4 or 5, have the potential to cause serious damage and to be life-threatening. Before you can prepare for a hurricane, you have to know what kind you’re dealing with. Severe storms are harder to protect against, and it’s most important that you avoid being at home when the storm hits. Comparatively, a smaller storm with a lower classification causes less damage and is easier to protect against. For example, if a large storm approaches, shutting storm doors, using plywood to cover windows, and taping down furniture helps. All vehicles should park inside garages when possible, and people should usually evacuate. With smaller storms, closing storm shutters and putting fabric panels over the doors and windows might be enough to prevent damage from debris. Not all properties flood, but hurricanes drop inches or even feet of rain within a short timeframe. With the risk of a heavy storm surge, consider taking the time to put up floor barriers. These cost between several hundred and several thousand dollars, depending on the kind you want and how high your barrier has to be. In high-risk areas, portable walls work well, while low-risk areas benefit from expanding bags or powder-filled door dams. Debris causes much of the damage related to hurricanes. Prepare to cover your doors and windows with storm panels. These panels, made with aluminum or corrugated steel, bolt down over the doors and windows. Some homes have these on tracks, so they push out of the way when not in use and pull across the window or door when needed. Storm panels on tracks attach quickly, so you can prepare for a storm in seconds. As an added bonus, insurance carriers like to see this kind of preparation, so it can have a positive impact on your claim. Our firm understands the building codes used in Florida as well as the hurricane insurance claims process. We will appeal and pursue your claim in court, if necessary. You do not have to go through this process alone. 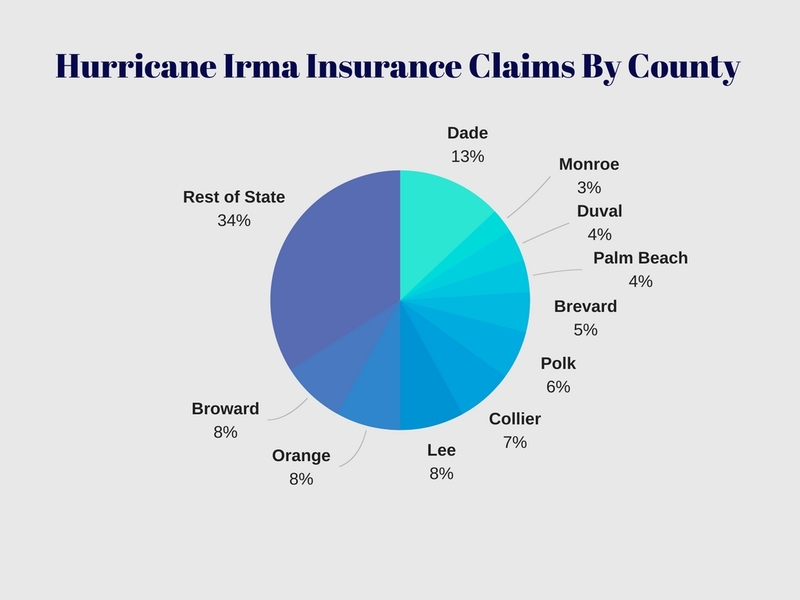 Contact our office today at (800) 451-6786 to schedule a free consultation to see how we can help you with your hurricane claims.